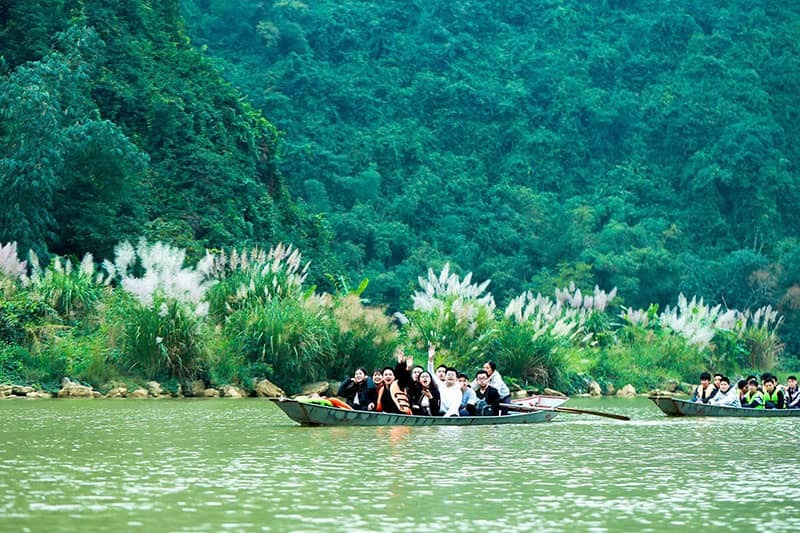 Thung Nham (Thung Chim) located in Ninh Hai Commune, Hoa Lu District in Ninh Binh is widely known for its largest bird park in Vietnam. 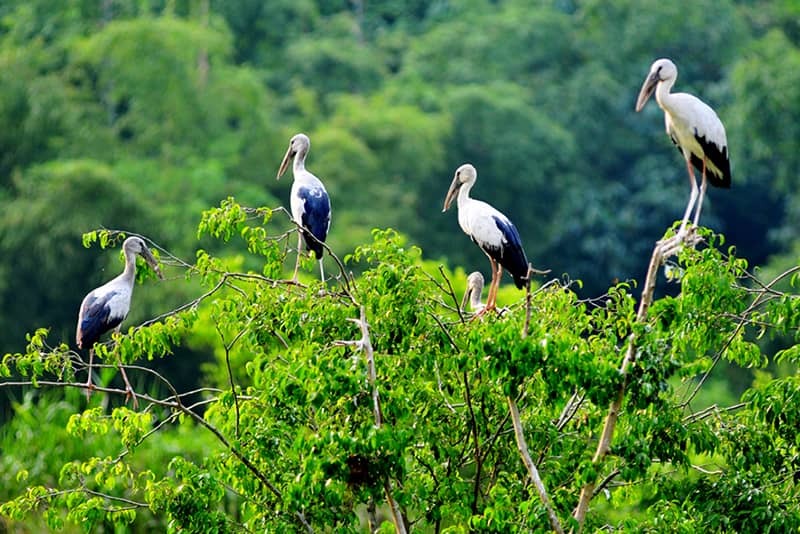 Thung Nham bird park is the habitat and living of a variety of birds such as storks, herons, anas crecca, teals, tropical starlings… Especially in the bird park there are two rare species of birds listed in the IUCN Red List – the Crane and the Phoenix, one of the mascots of Vietnam. Explore the wildlife of nearly 40 species of birds with about 50,000 birds. 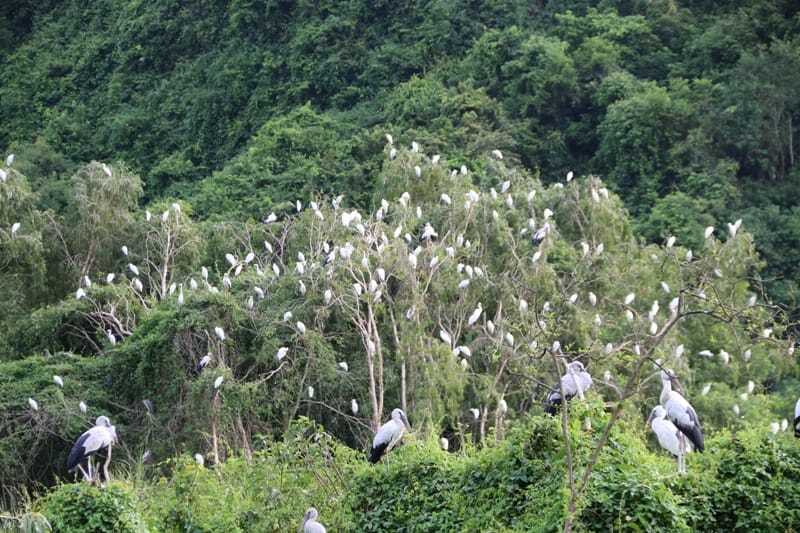 Especially on sunset, many herd of white storks hovering, sheltering densely over the area of this wetland Thung Nham. Visitors will feel the primitive beauty difficult to find elsewhere. 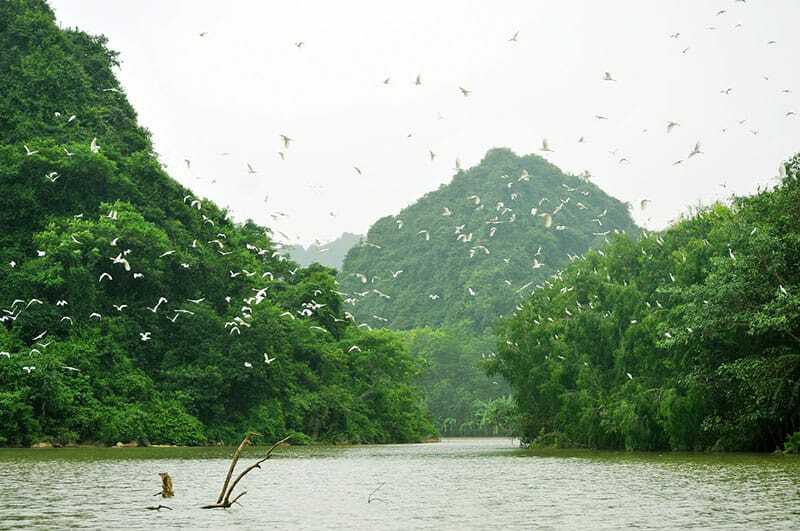 Siting on a boat and slowly paddle through the Thung Nham bird park is the best way to closely watch the birds, you will not only get into the wild nature but also observe the habitat, natural survival environment of birds. 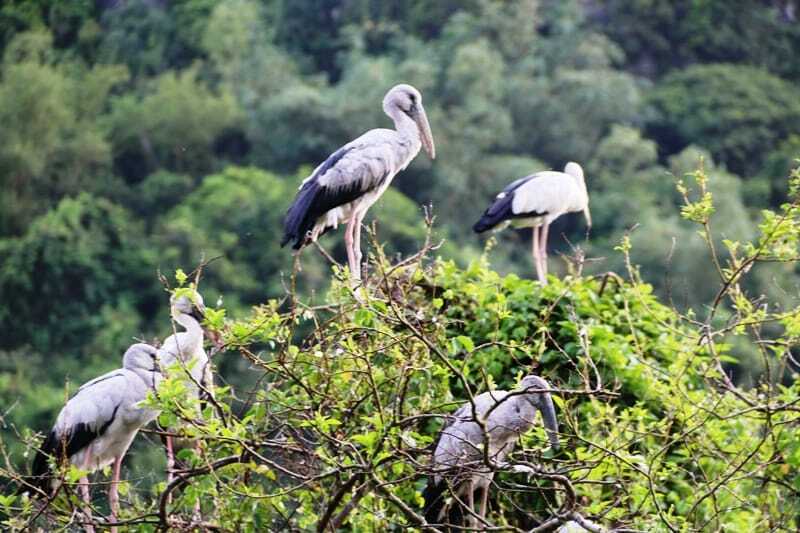 Storks are the largest species in this bird park Thung Chim. 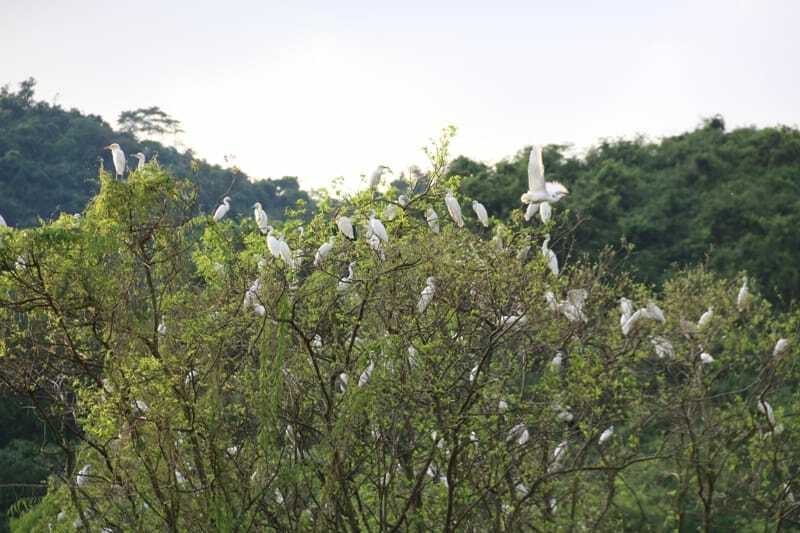 Whenever they fly back to shelters in the park, a white color covered the trees. You can also visit Thung Chim on the winding road right at the foot of the mountain to the edge of the water. And you only observe the bird from above on the hill side.